The Causeway Coastal Route is 193 km of outstanding natural beauty, spanning from Belfast to Derry-Londonderry. 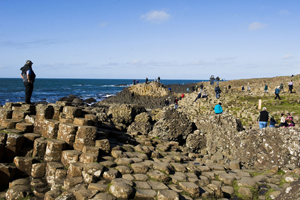 It has been dubbed one of the world’s great road journeys and provides visitors with the opportunity to make unforgettable memories whilst exploring all that Northern Ireland’s coastline has to offer. It is the perfect mix of stunning scenery, historical sites, famous landmarks and outdoor amenities, with something for all the family to enjoy. 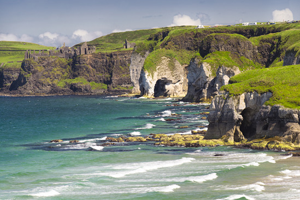 Remarkable famous landmarks are aplenty along the Causeway Coast. The most notable is that of the Giant’s Causeway in Co Antrim, with its breathtaking 40,000 polygonal columns of layered basalt. There is nowhere else like it, and it is Northern Ireland’s only UNESCO World Heritage Site. Other must-visit landmarks include that of Carrick-a-Rede Rope-Bridge, and the Game of Thrones’ filming sites of Cushendun Caves and the Dark Hedges. 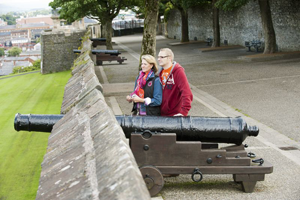 History lovers are spoilt for choice along the Causeway Coastal Route as there are so many top attractions of historical and cultural significance. One such attraction is Dunluce Castle, a 16th Century medieval castle in Co. Antrim. Other fascinating sites include Mountsandel Fort, which is the oldest known human settlement, or Derry-Londonderry’s city walls. 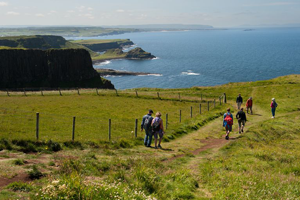 With its varied landscapes and dramatic coastline, the Causeway Coastal Route is ideal for outdoor activity breaks. 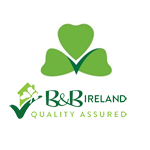 Wherever your interests lie, there will be fantastic amenities to cater for your hobby, from excellent walking and cycling trails, to world-class golf courses and surf schools. In addition to this, its numerous lakes and rivers make the route an angler’s paradise.